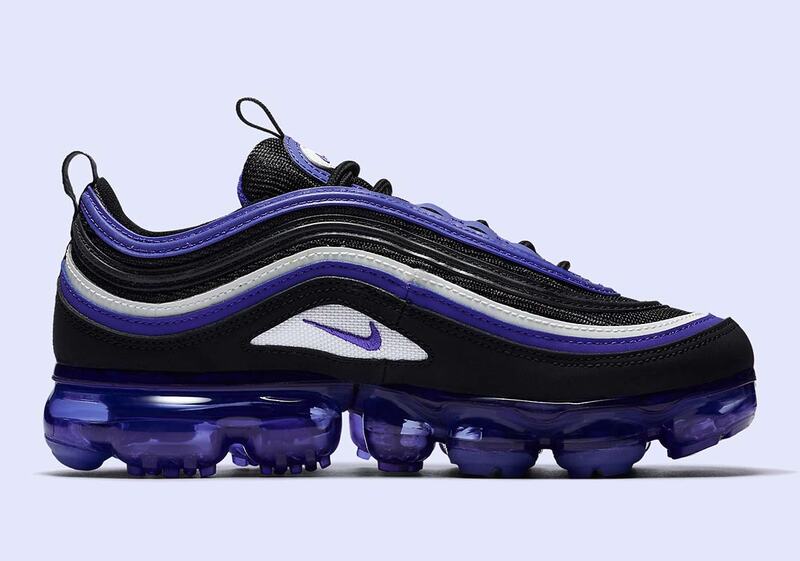 Nike’s Vapormax 97 is an interesting hybrid silhouette, fusing the bullet train-inspired upper of the Air Max 97 with the futuristic cushioning tech of the Vapormax for a look that nods to two of their most ambitious silhouettes. 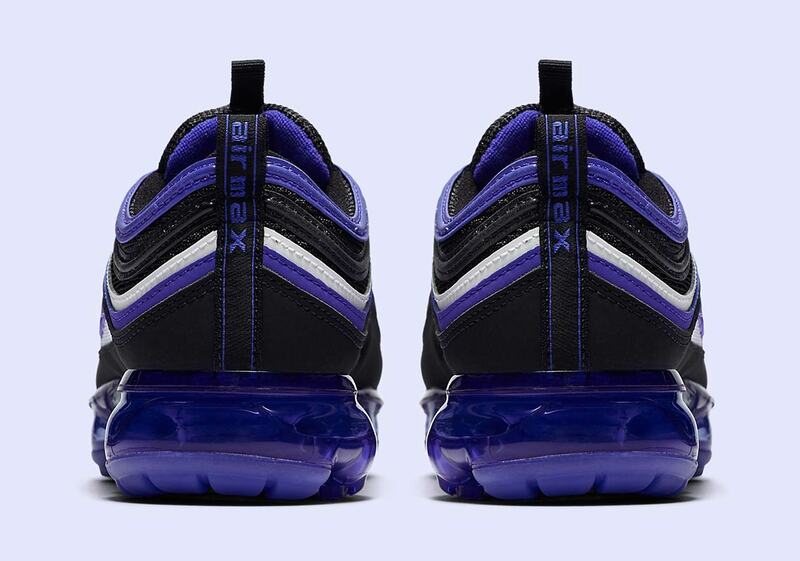 Now it’s surfaced in a new “Persian Violet” colorway that pulls inspiration from another classic Max makeup — the Air Max BW. 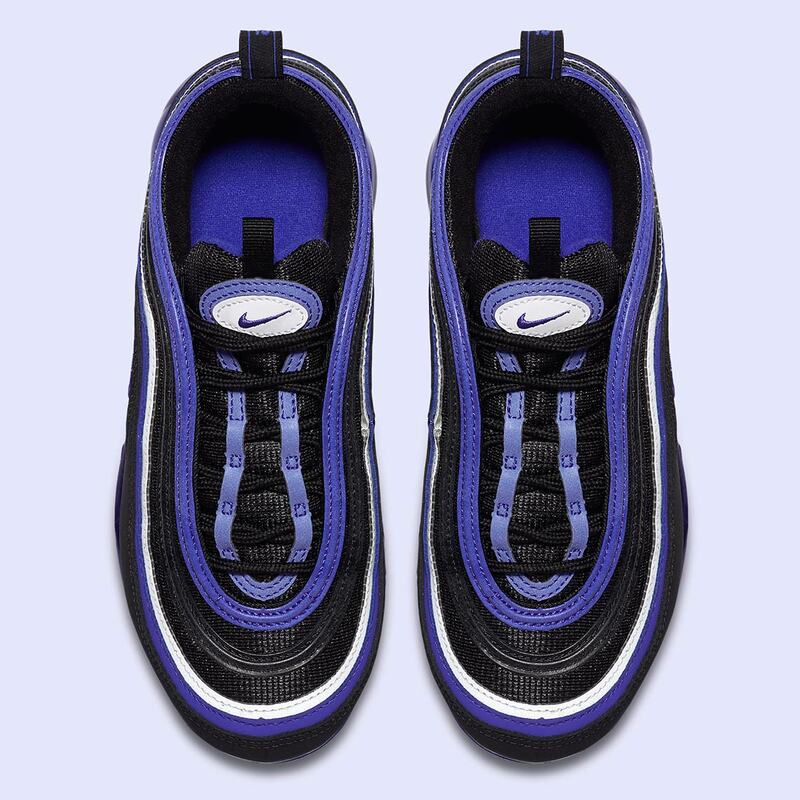 A dark black serves as the base color while regal purple accents arrive alongside dashes of white on the midfoot logo and swooping upper stripes. 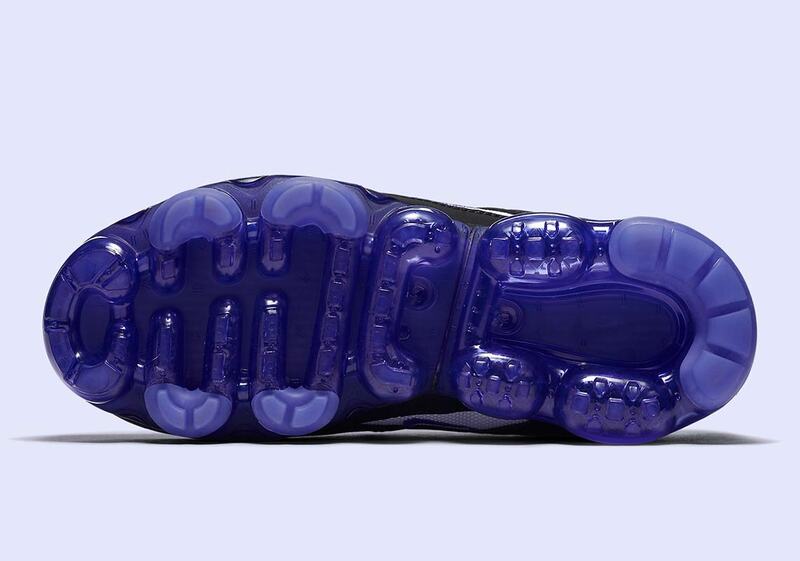 A single strip of reflective material offers a little extra low-light detailing, and the shoe is then completed by a semi-translucent Vapormax cushioning unit that’s also dressed in a rich “Persian Violet.” Check out a full set of official images below, and look for these grade-school only Nike shoes to release November 26th on Nike.com and at select Swoosh Brand stockists. 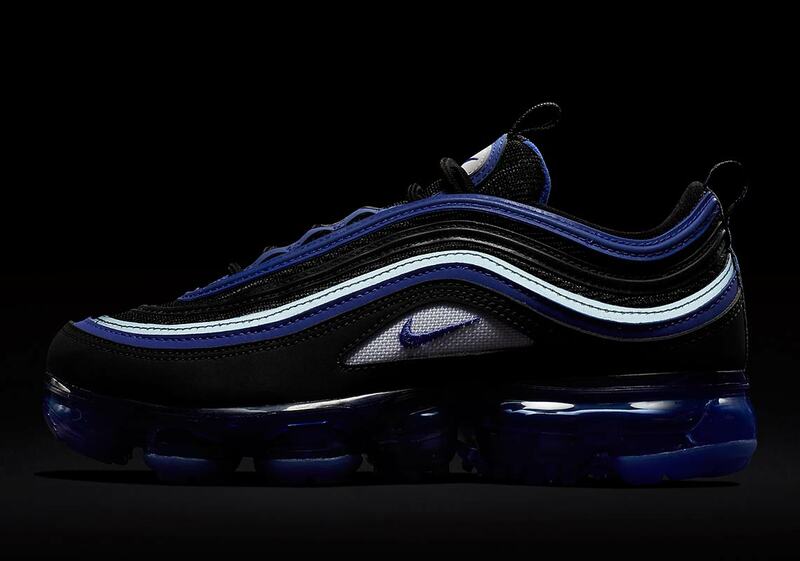 The post The Nike Vapormax 97 “Persian Violet” Is Releasing In Grade School Sizes appeared first on Sneaker News.